For the most part, the findings are clear: while many donors and partner country governments have made significant progress towards the targets that they set themselves for 2010, few of them have been met. Partner country authorities appear to have gone further in implementing their commitments under the Paris Declaration than donors, though efforts – and progress – also vary significantly across countries and donor organisations.As the international community takes stock of what has been achieved on the occasion of the Fourth High Level Forum on Aid Effectiveness in Busan, Korea (29 November to 1 December 2011), this report sets out evidence of progress and challenges in making aid more effective. This evidence should help forge a consensus beyond Busan that aid – and its effectiveness –represents only one element of a broader landscape of development finance and joint efforts to make aid more effective can and should inform a broader development effectiveness agenda. 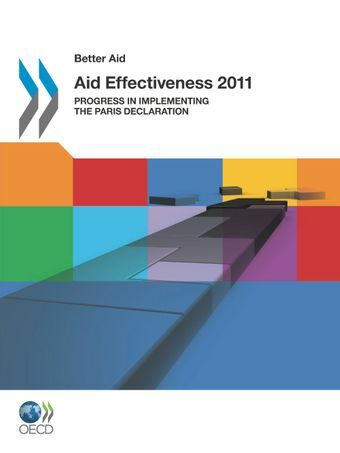 Progress towards more effective aid: What does the evidence show?